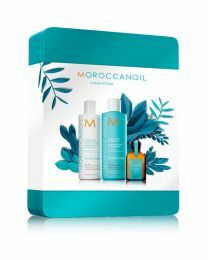 Spoil yourself or a loved one with Moroccanoil Everlasting Volume Tin , Trio Gift Set beautiful packaged in Morccanoil Tin Case. Transform fine hair from lifeless to lively. Moroccanoil® Extra Volume Shampoo works weightlessly to gently cleanse and boost volume on fine, limp hair. Infused with antioxidant-rich argan oil and revitalising nutrients, including Linden bud extract, the formula naturally plumps up hair to restore hair’s health and bring back body, shine and manageability. Colour-safe. Sulphate-free, phosphate-free and paraben-free. Gentle detangling meets easy volume. 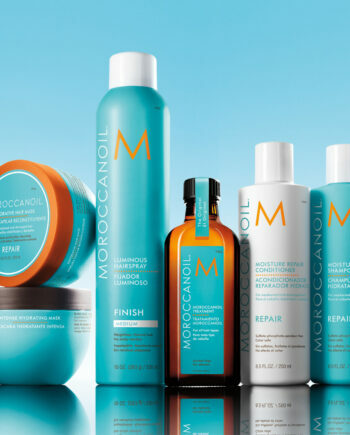 Moroccanoil® Extra Volume Conditioner gives fine, limp hair body, shine and manageability without weighing it down. Infused with antioxidant-rich argan oil and revitalising nutrients, including Linden bud extract, the conditioner will naturally plump up hair as it conditions, transforming hair from lifeless to lively. Colour-safe. Sulphate-free, phosphate-free and paraben-free.